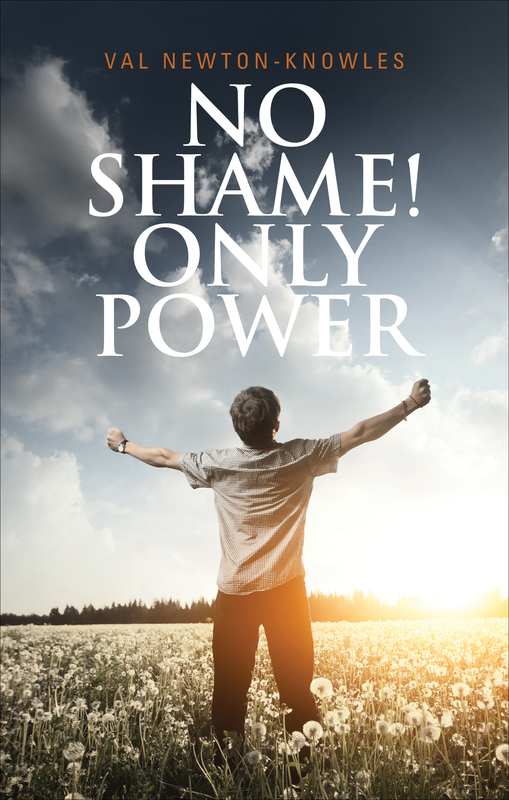 No Shame Only Power is a divinely written non-fiction book that guides you to an improved understanding of Gods plan for salvation, life purpose and success. Inside the pages you will discover three parts masterfully crafted to take you to a higher level of comprehension within Gods plan. The book is written in three parts. Each part is a building block to help you understand all that God has for you to succeed. While reading I felt as if the author Val Newton-Knowles was speaking into my life with truth and love. In the past I have honestly struggled to realize the power that was already accessable to me. I feel like I have renewed faith after reading this book. I truthfully cannot begin to say how this book has transformed my heart . After reading the book from cover to cover I feel I have a better understanding of Gods plan for me. I delighted in the authors ability to always back up her words with scripture! Most importantly she points you to the only place that will allow you complete freedom and that is the cross. 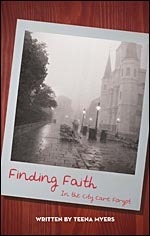 Finding Faith is an extraordinary nonfiction book written in a manner that weaves a collection of stories together to prove faith is still strong today! Blessings come in many forms author Teena Myers was given a financial gift and told to use it for her ministry. Bewildered and confused she tried to give it back . After realizing she couldn’t return the money, Teena joined an eclectic group of writers which taught and guided her towards her purpose. After a challenge was given to her by an Atheist , Teena decided to write a book to prove that God still intervenes in human lives today! One element each story has in common is the phenomenal intervention that God still provides us with today. Inside the pages of Finding Faith in the City Care Forgot you will encounter an abundance of encounters and experiences that provide substantial evidence of God and his amazing love. While reading I was hanging on every word with excitement regarding the events unfolding within the pages. A book about tough times usually implies that the author has had some personal experiences that connect to that topic. Where did the book start for you? In college, I was a kicker and punter at Oklahoma State University under a demanding head coach, Jimmy Johnson. (Football fans might recognize him as the coach for two college national championships in the 80’s and a couple of Super Bowls in the 90’s for the Dallas Cowboys). Just playing for Coach Johnson was tough enough, but my sophomore year, I got my knee bent backwards in a Junior Varsity game in Lincoln, Nebraska. When surgery and rehab efforts didn’t get me back to playing football, I eventually had to hang up the cleats. Looking back now, that experience made me more aware of how other people dealt with adversity and caused me to pay more attention to how I could respond when faced with tough times. Your book transitions pretty quickly from your football days to life as a church planter and how that actually prompted you to write this book. How did that all happen? When football didn’t work out, I found myself drawn to ministry in a great church near the OSU campus. Charlie Baker, the pastor of that church, invited me and other college students to partner with him in creating a weekly worship service for students. In doing that ministry I fell in love with the church and decided to go to seminary and be a pastor myself. After getting married and going through seminary training, we eventually moved to Kansas City to start churches. For nearly 20 years we were involved in the roller coaster rides of starting five different churches in our region. Most days, I absolutely loved it. But in one of those church starts we had a train wreck that knocked me for a loop and out of a church that I loved perhaps more than I loved my wife and family. So after that you went on an even deeper quest for figuring out what was happening to you? Right. With a new intensity I began to systematically search the scriptures to find some help for my pain. And I collected information and stories from others wiser than me and from many who had suffered greatly and come through with amazing faith and character. You write about a day in Costa Rica that changed your life. What happened? After the break up from the church, I wound up going to Costa Rica on a mission trip with my parents. My parents, by the way, were missionaries when I was a kid and 30 years prior we had actually lived in Costa Rica. For me, going back was a fun, blast to the past. But more than that, the people there were cathartic for me. I was an emotional mess much of the time. And one day I must have cried with three or four people who needed to know Christ, but who were in pain. God used my pain and my weeping with others to both minister to them and to me. That day I discovered something about God’s ministry of tears and how sometimes He does more through our weaknesses and frailties than He does with our strengths. So this is where your international ministry began? Yes. While in Costa Rica, a Guatemalan man by the name of Cesar Gonzalez invited me to come to his country and dream about ministries and churches for people in Guatemala who don’t like church. To hear the whole story you’d have to pack a lunch! But let me briefly say that Cesar would have been a Mafia hit man if God hadn’t gotten a hold of him! With a little encouragement from some pastor friends in Kansas City, I took him up on his invitation, and for two weeks Cesar and I drove around the country looking at dozens of different situations and groups of people. Little did I know then, that 13 years later we would be working in over 55 locations covering Guatemala, Honduras, and El Salvador. I mention this because I have learned a lot from believers from other cultures and have put much of that into the book. Many of us in North America aren’t aware that both Guatemala and El Salvador have been through recent civil wars. Many people there have shared first hand stories of unimaginable grief and heartache. As I have walked alongside them, my faith has been challenged and I have an increasing desire to not just mindlessly go through my tough times, but to actually think deeply and grow through my tough circumstances. As I’ve done a little bit of that, I think it’s time that I pass some of this on to others who can benefit like I have. For now it’s only available from the trunk of my car! Or, more conveniently, it can be ordered from the website www.TransformedbyToughTimes.com. Soon it should become available on Amazon and we hope to have a Kindle version available in the near future as well. By the way, before Christmas we finished taping the audio book and I can’t wait to unveil that in the next couple of months too. You also have a companion Bible study available as well right? Yes! Thank you for mentioning that. I think I am about as excited about the study guide as I am the book. On the website, www.TransformedbyToughTimes.com is a 24-session small groups Bible study guide that can be downloaded for free. It matches up to chapters in the book and then goes deeper with pertinent Bible stories and information related to the topic. Incidentally, when someone wants me to coach them through their own tough times, this is essentially the material I use. In early tests, we are getting positive feedback from groups going through the book and the Bible study together. Do check it out! Steve Reed is the Chief Encouragement Officer and Cross Cultural Catalyst for Daybreak International, a missions organization he founded that is dedicated to planting churches for the marginalized and forgotten peoples of the world. Currently, his two major projects focus on cowboys in Central America, and Kekchi Indians in the jungles of Guatemala. Those who know Steve best speak of his relentless encouragement and undying loyalty to people who face tough times. When not travelling in Central America, Steve comes home to Kansas City. He is married to Nola, and they have three young adult sons, a beloved daughter-in-law, and a grand baby on the way! As a part of Cwa Review Crew I recently had the privilege of reading Changing Churches. When Changing Churches became available to review, I knew it was nothing short of Gods perfect timing. I am at a cross roads with my Church. I was feeling hopeless in my turmoil within my Church, with the question looming over my head , Do I stay or Do I leave? Before reading Changing Churches I felt alone in my struggles within the Church. 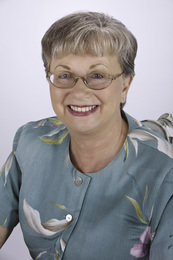 Author Dottie Parish took me on a Journey within the pages of her book. The first part of the book took me on a Journey to witness Dotties struggles within different churches . I immediately resonated with the words from the first chapter as she states, Everyone was thrilled with Pastor Edna except herself . Many times I have felt the exact same way. When I would feel this way , I though surely I am wrong and I shrugged off my intuitions. Inside the chapters of Changing Churches Dottie shares with you entrys from her personal journal she kept during her experiences with the different churches. I am thankful for her transparency and ability to share them. I am now starting a journal to help me alleviate my own pains and to find clarity with my circumstances with the Church. Included inside the pages is a guide for the Church Leaders and Leavers. This subject in my opinion is not addressed enough in Churches or in our Society. Part two addresses the ways Churches are changing. Biblical solutions to help build the church up are provided as well. I recommend Changing Churches to anyone who has ever struggled understanding why someone would leave the Church,also for any Church Leaders . Lastly this is a must read for anyone sitting in the Church Pews with the question Do I stay or Do I leave. I want to start my review of The Moses Quilt by warning you once you pick up this book you will not be able to put it down. The book is written from each characters view point. Every chapter flows beautifully into the next. Mazzie a white woman with deep southern roots is deeply in love with Edward who happens to be African-American. Edward is a modern day Christian prince charming who wants nothing more than Mazzies hand in marriage. While he waits patiently , sometimes impatiently for an answer ,Mazzie battles internally about whether or not to marry him. Three generations live in a home together, Lilly which is Mazzies mother, Mimi who is Lilly s Grandmother and Mazzie the great granddaughter of Mimi. While Mimis health is deteriorating she asks her great granddaughter to open the cedar chest, of which she has never been allowed to open. Inside it lays a beautiful quilt called The Moses Quilt. Beginning with the first night Mimi begins telling a story about each patch and what it represents. Edward learns of the story and joins in for the installments. Mimi insists the story has something in it that holds the key to Mazzies circumstances. I felt as if I had entered the lives of the characters. Kathy s writing weaves an unforgettable story. I am going to end my review my reason being I don’t want to spoil the ending, you will have to read it for yourself to figure out the magic behind the quilt! Many people , myself included have waited for the perfect life circumstances to magically arrive, so that we may finally love the life we are living . I am challenging you to erase this mindset and bloom right where you are planted! Life is full of choices that we don’t even realize we have. Small changes add up to Big results. I am sure you are aware of all the excuses that can arise along the journey, such as when my finances are better I will love my life. When my house is in order I will then love my life. I too have fallen many times into this sort of mentality. 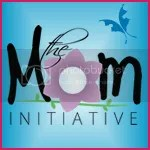 You’re invited to join us for our annual iBloom Online New Year’s Party on Tuesday, January 8th at 8PM ET.